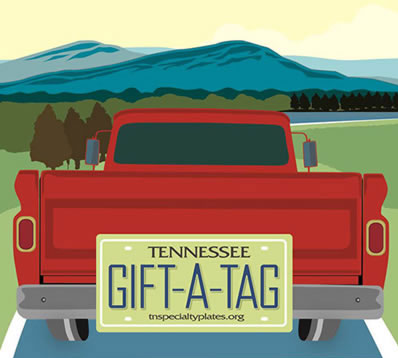 The “Protecting Rivers and Clean Water” Tennessee Specialty License plates benefiting the rivers and clean water in Tennessee are available in County Clerks’ offices! Call your County Clerk’s main office and ask if they have the "Protecting Rivers and Clean Water" plates in stock. If they do not have any, ask them to place an order for you. It should only take a few weeks for them to arrive. Once confirmed they are in stock, go to your County Clerk’s main office to exchange your existing plate for a "Protecting Rivers and Clean Water" specialty license plate. Don’t forget to bring your current Vehicle Registration documents. The cost of the plate is pro-rated for moving your anniversary, plus only $35 for your "Protecting Rivers and Clean Water" specialty plate. If it is time for your annual renewal, you do not need to turn in your expired plate, but you must coordinate through their County Clerk’s main office. The very best way to promote the ”Protecting Rivers and Clean Water” specialty license plate is to get one on your car! Know someone who might want a plate? This specialty license plate makes a great gift for the paddler, fisherman or outdoor lover in your life! Give them the "Protecting Rivers and Clean Water" specialty license plate! Calling all proud owners of our new specialty license plate! We want to see you with your new “Protecting Rivers and Clean Water” license plate! If you are a proud owner of our new “Protecting Rivers and Clean Water” specialty license plate and have already picked up your plate show your love for clean water by taking a photo of you with your new plate and share it using the hashtag ‪#CleanWaterOnMyPlate on any of your social media platforms. You could also send your pictures to us directly so that we may be able to post them to our social media sites including Facebook, Twitter and Instagram! Please send all photos to info@harpethriver.org. Thank you to everyone for your support for this great plate!